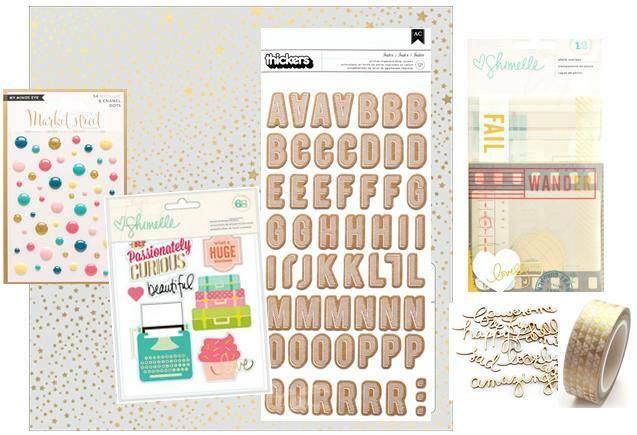 I am in embellishment heaven, with the July Kits from Hip Kit Club! 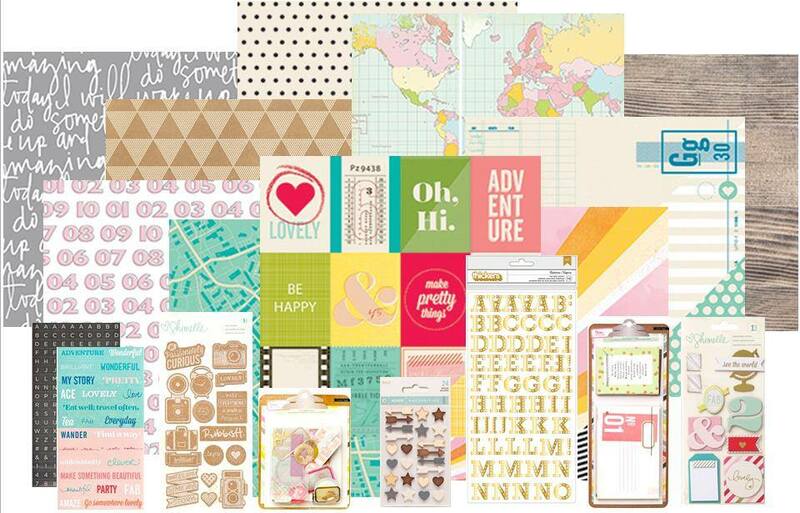 Did you know you get the entire ephemera pack from Crate Paper's Open Road collection??!! So awesome! We don't travel a whole lot or too far...it's kind of expensive for a family of 5 and usually big time stressful with our 3 crazy kids...but we do get away for a little weekend or day trip every now and then. 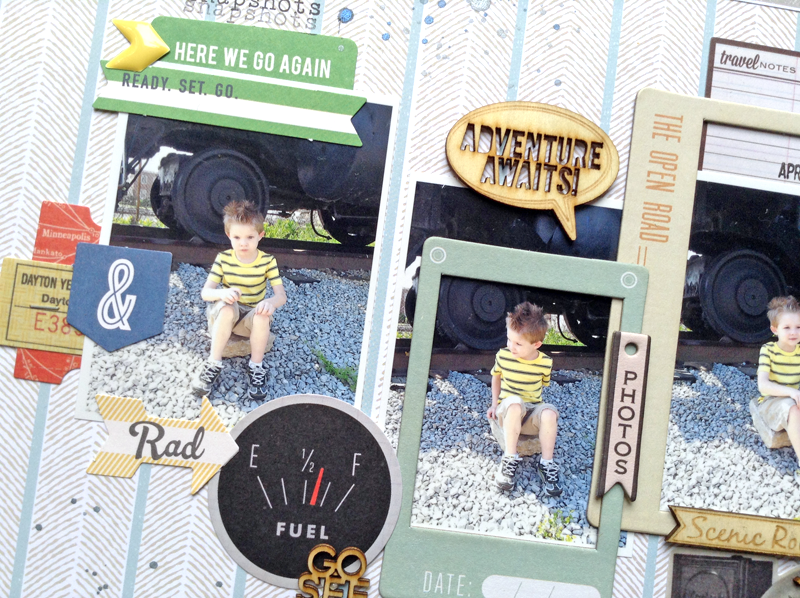 I had so cute photos of our son from a trip to Birmingham back in April and knew the Open Road ephemera pack would be great to use on this layout! 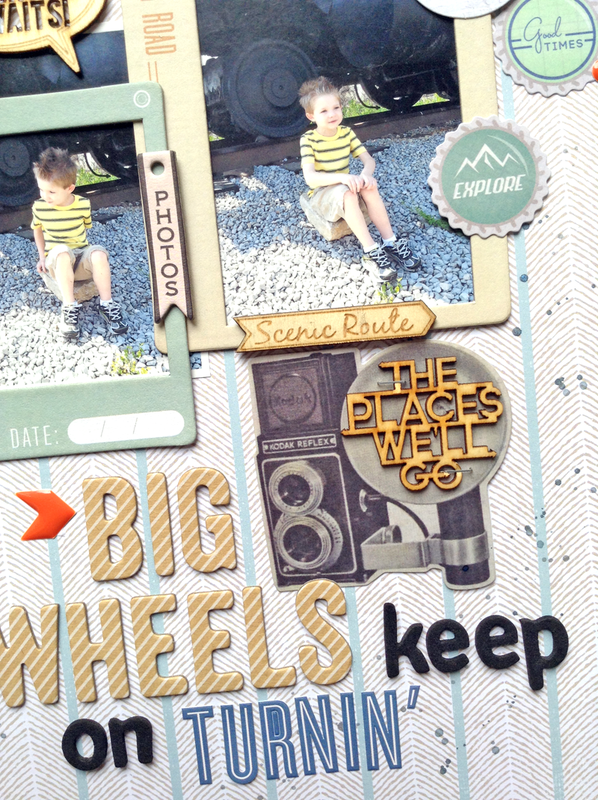 I love the mix of travel embellishments in the July 2014 Hip Kit & Add-On Kits, mixed with the neutral papers. It was the perfect mix for scrapping these photos of our son from a weekend trip, back in April. I loved that he was just hanging out in front of a train engine, at one of the locations we visited...just being a typical boy. I added several pieces from the Crate Paper Open Road ephemera pack and some of the great travel wood veneers from the Chic Tags Let's Go collection. 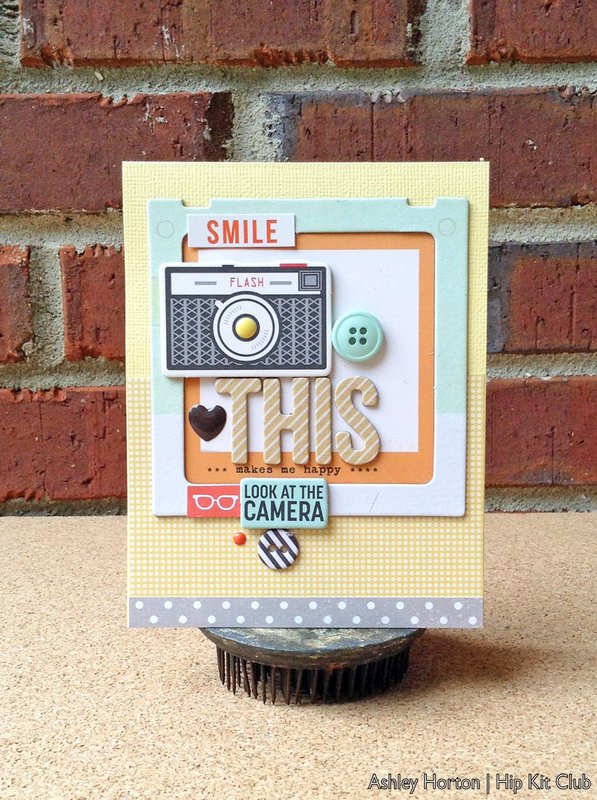 I really love the camera themed items included in the July 2014 Hip Kit & Add-On Kits. 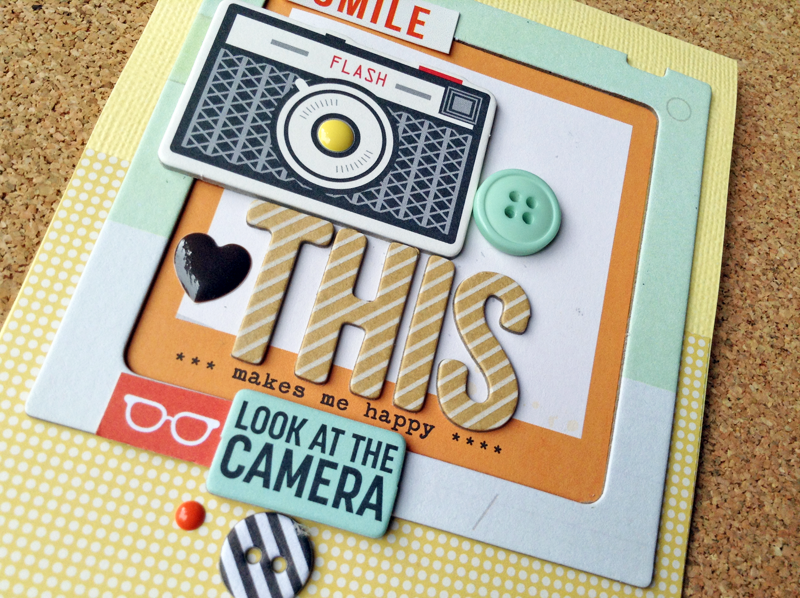 The October Afternoon Daily Flash collection has some great chipboard camera pieces and fun patterned papers. I chose one of the chipboard cameras and paired it with one of the Crate Paper Open Road frames for my card. There's also great colors in this kit, that give a vintage vibe, and I love the mix of the Yellow, Orange, Light Blue and touch of Black! You can visit the Hip Kit Blog, for a specific product list of what is included in each of the Kits and for pricing. To purchase the August 2014 Hip Kit & Add-On Kits, make sure you stop by the Shop! Pinkfresh Studio and Neat & Tangled Blog Hop!